Tree Hut Village offers families the opportunity to securely, quickly and easily search, browse, borrow and lend baby equipment. 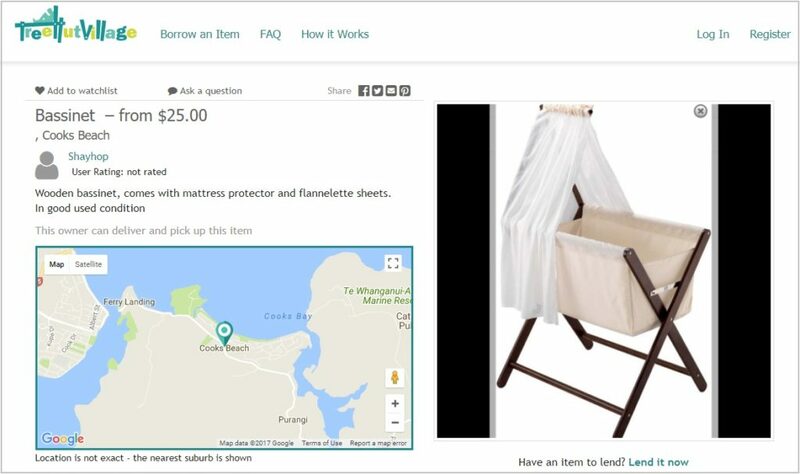 It directly connects families across the Tasman who are not using their baby gear such as prams, capsules, cots and cars seats with those looking to borrow. For those travelling, they can conveniently hire baby equipment locally, removing the need to cart around bulky, heavy baby gear. For those lending their unused baby equipment, they can list their baby gear for free and earn some extra money. 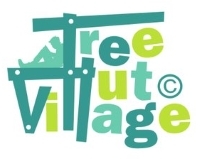 The name Tree Hut Village comes from our desire to enable communities to support each other in a mutually beneficial way and to make hiring safe, high quality baby gear accessible to everyone. Even though Tom is originally from Auckland and I am an NZ resident we decided to launch first in Australia. With listings already in six states and most major cities in Australia, Tree Hut Village is a win-win for all families. New Zealand has been enabled recently and we’re currently growing the NZ user base. Our main target group is predominantly females aged 25-44 who like travelling overseas with their families. The other (supply) side of the business is usually also young families with small children who would like to boost their income from time to time. Tree Hut Village allows parents to rent out their surplus baby gear. The inspiration came to us after two different scenarios. The first was when we were looking for baby equipment for our visiting niece and thought that hiring should be easier and more affordable. The second was after we went on holiday to the Whitsundays with our then four month old baby boy, Max. 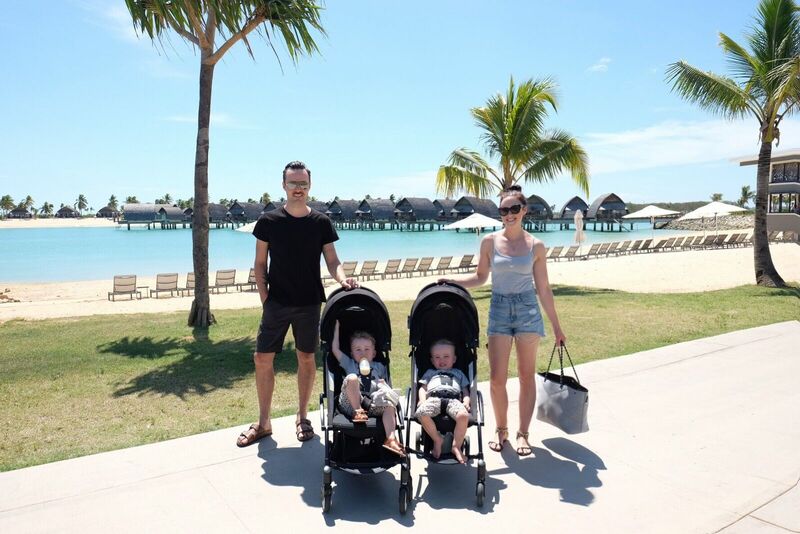 We wanted to avoid the hassle of travelling with lots of baby gear such as prams and travel cots. After searching online, we ended up hiring from a local family. We connected online and loved that our $30 would go to a local family. 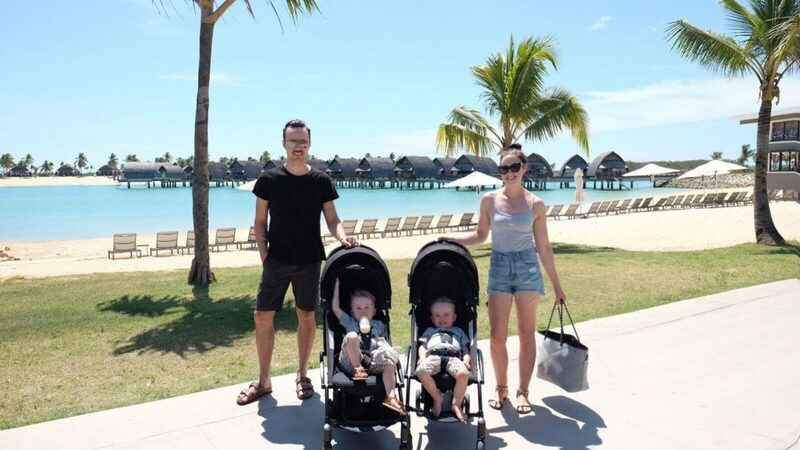 It was this that sparked our desire to create something that provides families with the opportunity to travel more easily and also allow families to earn a bit on the side with no capital outlay. We enable parents to make money off stuff they already have at home. We enable parents to travel more easily. We reduce the amount of baby equipment going to landfills. Having grown to 2,000 users within 6 months from the official launch. All our transactions are insured (most traditional baby hire places are not). Winning “Digital Innovation” at the Ausmumpreneur Awards in 2017. We do a lot over social media which is where our target group predominantly hangs out. We benefited a lot from PR opportunities as well (e.g. 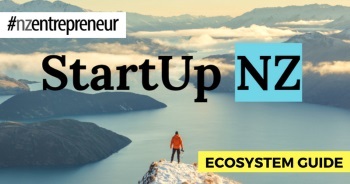 Kidspot and Startup Daily). It’s about connecting with the right partners and investing in quality. Making sure every dollar spent has a tangible ROI and the availability of key staff. Be frugal in the beginning but at the same know when to invest in quality. Be prepared that you are going to be the only one who trusts in your vision – if you believe it can happen then make it happen – the support will come later when your business idea has proven to resonate with your target audience! Next post Raising seed capital? Be sure to cover these points.